making it fun: EQ & MMF Block Challenge & Giveaway! 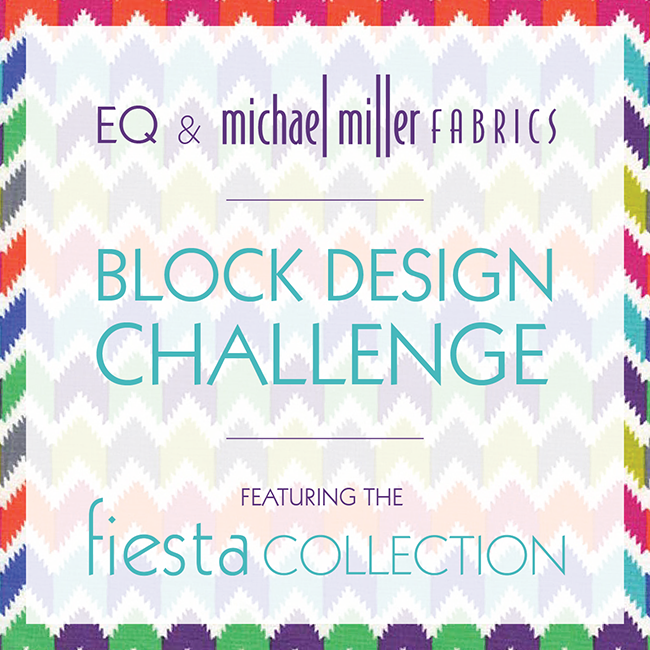 EQ & MMF Block Challenge & Giveaway! 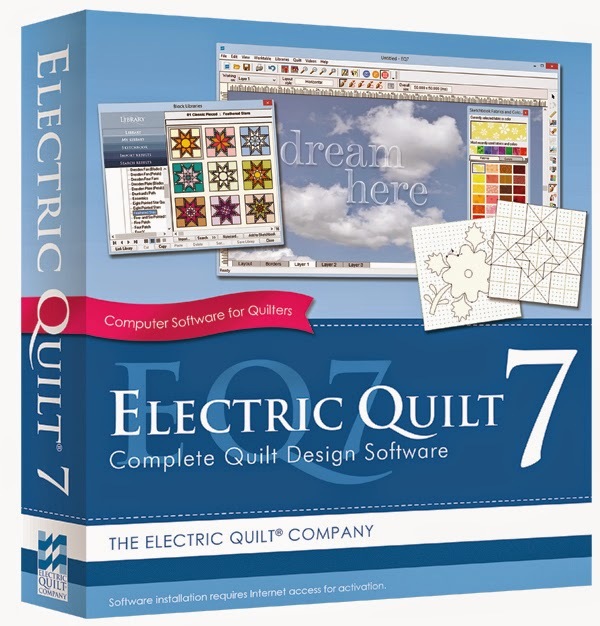 We're partnering up with EQ for a two week block design challenge for everyone! This block design challenge is open to everyone! 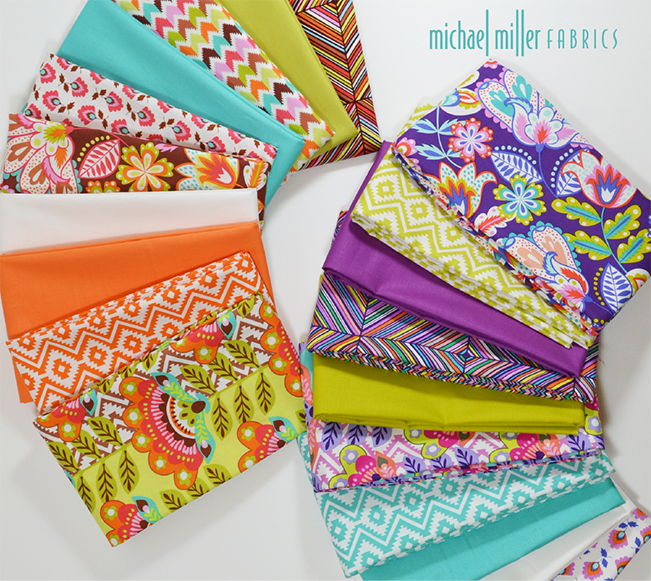 All you have to do is design a block using fabrics from Michael Miller’s Fiesta collection and submit it to EQ by Wednesday, March 11th! 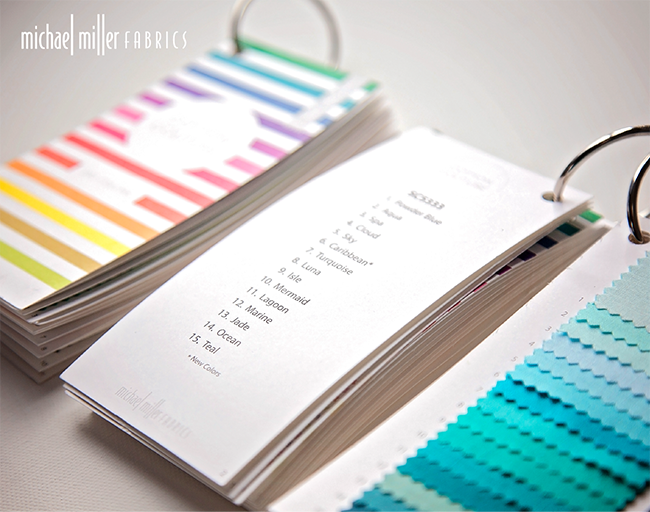 Design a block using whatever method you’d like and color it with Fiesta fabrics. (Draw and color it on graph paper, design it using other software, etc.) You may also use one solid color if you’d like. Submit an image/photo of your block. For details on how to submit your entry, visit the EQ blog! The challenge will close on Wednesday, March 11th at 9am EST. Winners will be announced Friday, March 13th on the EQ blog. Awesome! Can we submit more than 1 block? One entry per person. Thanks very much! If you submit a block and you'd like to change it to a different block, please let us know!